To make a self-recording is to literally make a recording of your voice. Why would you do this? Well for some, the ideas of recording their songs and voices in a music studio are either farfetched or far off the budget for the month. Unless you find some low charging music studio, it can be incredibly expensive. There is a whole bunch of home gear that you can also purchase, but for a novice recording, there are a few easier options. The first step is to obviously have your piece of song perfected, so that it is ready to be recorded. Luckily, there are a few apps available that can help you with this. GarageBand: This is an easy to use app that offers many people the chance to record their music, as well as to fine tune and mix the songs. Music Studio: It may take a little bit of time to become comfortable with this apps interface, but it offers a myriad of recording options as well as instruments to use in your songs via a few strokes on the keys of your device. Unfortunately Android devices do not have any serious competition when it comes to the Apple Apps and recording music, but there are a few notable apps available. Recording Studio Lite: Designed to be easy to use, quick and uncomplicated – Recording Lite is a good entry level option. Offering you 2 track recording opportunities, one can upgrade to 24 tracks with the top version. The Lite version does offer a piano to accompany your song, whereas the Pro version offers a wide selection of instruments. Once your track is complete and you know you are happy with it, it is time to either save it as an MP3, upload it to YouTube or to send it off to that record label you believe will be interested in your music. Best of luck! 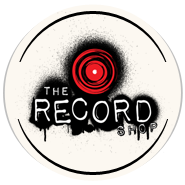 http://therecordshopnashville.com/wp-content/uploads/2018/10/nashville-recording-studio.png 0 0 Editor http://therecordshopnashville.com/wp-content/uploads/2018/10/nashville-recording-studio.png Editor2015-03-26 21:00:112015-03-26 21:00:11How to make a Demo?